Greetings! My name is Scott, and I’m looking for a roommate in Northfield, MN. There’s a form at the bottom of this page that you MUST FILL OUT. I will GET BACK TO YOU if I’m interested! I’m looking for the right fit most of all, and also need someone who can be approved by the management company I rent from, so that they can be added to the lease. I’m currently on a month-to-month lease, but I’m ideally looking for a roommate who can stay AT LEAST through the end of May 2019 (Spring Semester) or longer. Why? My folks are getting older and I’m an only child, so I’ll be visiting them quite a bit this winter. I thought of moving all together to live closer to them, but I love my apartment and I love having a home base in Northfield. I work from home with my own business, and I also often take on temporary part-time work. Cutting my expenses just helps me to help my folks out and helps me to travel more. Non-Smoking and NO DRUGS (no 420 either). This is non-negotiable, even if you smoke but say you won’t smoke inside. You MUST be a non-smoker. NO EXCEPTIONS. NON-NEGOTIABLE. Ok. I think I’m perfectly clear on this. Be comfortable that you’ll be living with a bi/gay man in his 40s. I’m not overly political and I get along with most everyone from all sides of the religion/politics spectrum. You just have to be ok that your roommate is gay. 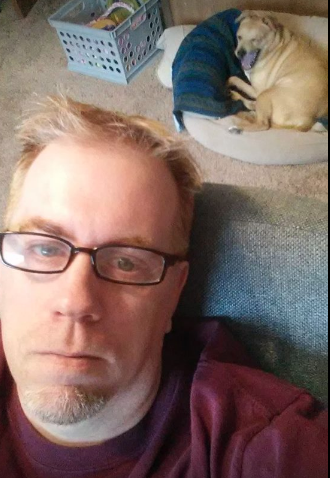 I have a dog (and you won’t be responsible for her care), but because she’s a small dog, 11 years old, and has never lived with children, I can’t have children in the apartment. I tell friends to not bring their small children over because they can agitate my dog without knowing that they are doing so. She’s great with adults, and a good burglar alarm as she will bark at people she doesn’t know, but once inside she loves them. I can’t have any other pets in the apartment, so no additional dogs or cats. You should be employed currently or be a student. You’ll need to pass a background check and fill out a $40 application with my apartment managment company. I’d like a roommate who can stay at least until the end of Spring Semester (May 31, 2019). You’ll be added to the lease, but you can also stay longer or be released without a long term commitment if you like after May. Please fill out all of the fields below, as each is required. It helps me to get to know you a little better so I can screen people more efficiently and dodge the spam from Craigslist. If I'm interested, I'll contact you by phone!